I didn't think he'd really like celery because its hard. 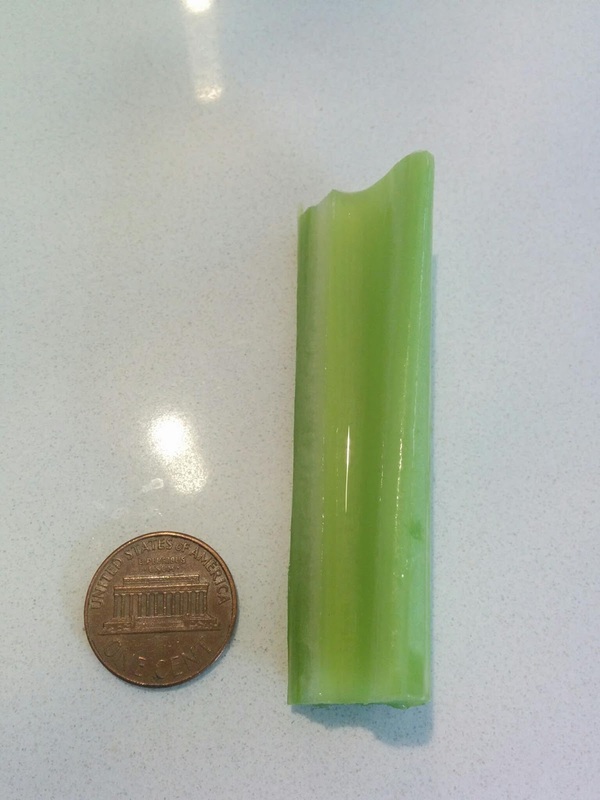 Turns out that I was wrong, the first time I gave him really fresh and crispy celery it kept him entertain for a good 20 minutes. I really like this as an option because it doesn't come apart easily, and it doesn't require cooking. So it's just something fun for him to hold onto.